Next Article Is The Chase Ink Business Preferred Card℠ Really Worth It? If you’re planning on traveling the world, your backpack will quickly become your best friend. You’ll get to love the way it feels, the space it offers, and even the way it smells. It will carry your precious belongings from one location to another, you’ll rest your head on it at airports and bus stations around the world, and it will be with you every step of the way. 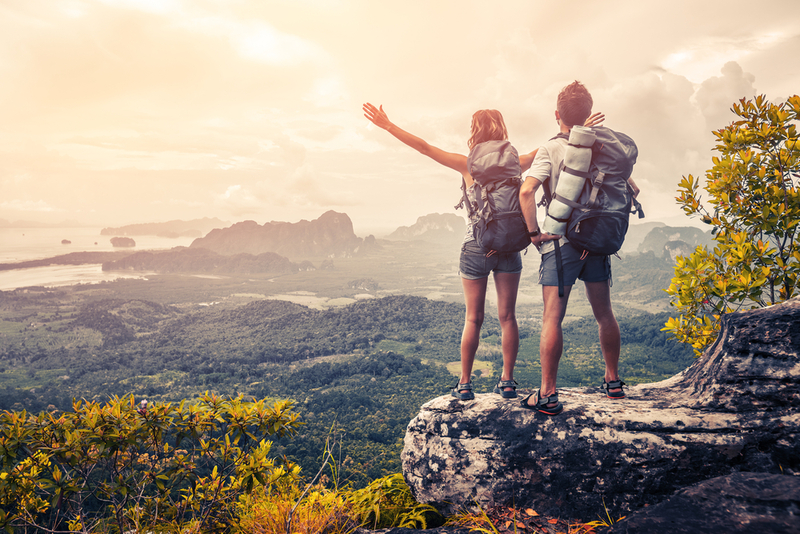 For these reasons, and many more besides, choosing the right backpack for your next big adventure is one of the most important travel decisions you’ll ever make. Why Use a Backpack Over a Suitcase? To clarify, suitcases are great. They’re rugged, reliable, and an excellent choice for single-destination travel where you can unload once and explore. With loads of lovely internal storage space, smooth rolling wheels, and plenty of fun colors and designs to choose from, a suitcase is still a great way to take your belongings on vacation with you. But, if you’re planning a trip with multiple stops, a backpack will serve you better. With the flexibility to roll along the floor, or carry on your back, there’s literally nowhere your backpack can’t go with you. It can carry as much, if not more than your suitcase can, but will weigh significantly less. Small backpacks are perfect for urban exploration or short trips, while larger ones can contain gear for all sorts of adventures. Sturdy, well-made, and full of hidden extras like daisy chains, mesh pockets, bottle holders, and so much more, your backpack offers enough space to hold everything you need for every kind of adventure. Keep the suitcase for the city weekend break but grab your backpack when you have bigger plans to take on. Bottom Line: Backpacks are more flexible and are allowed virtually everywhere. Not only do backpacks serve as great luggage, but then can transition to a day pack for adventuring. In a hurry? Here are our top picks for backpacks. The right size backpack for you will come down to your personal preference and requirements. If you’re taking lots of kit with you and traveling to multiple destinations with differing weather or if you just aren’t one to travel light, you’ll probably need to look at a 60-liter backpack or bigger to fit everything in. A bigger backpack will need to be checked in when you fly, meaning you’ll be at the mercy of check-in gates and luggage carousels, so be sure you really need to take all that stuff before you commit to it. Smaller backpacks, on the other hand, may not have the capacity to take the kitchen sink with you on your journey, but they can be used as cabin bags and are generally easier to travel around with when you get there. Most 40-liter backpacks are carry-on sized while some 50-liter backpacks, that don’t have a rigid frame, may also be small enough to carry on. Backpack capacities usually range from as little as 5 liters for daypacks, up to 30, 40, and 50 liters for cabin bags and up to 60, 70, and even 85-liter monsters for longer adventures and real globe trotters. If you fill your backpack full of big pieces of kit like hiking boots, of course, it will be cumbersome to carry around with you. But, it’s not just the weight of the backpack when loaded that needs to be considered, as some makes and models can weigh a fair bit even without any gear. Some bags are made of thick canvas and constructed using heavy frames that will feel weighty even when empty. Most modern backpacks, however, are made from durable, lightweight materials that shouldn’t make your shoulders ache before you’ve even left the airport. Hot Tip: As a general rule, a full backpack should weigh no more than 20% of your body weight, and an empty one will need to weigh just a small fraction of that. Of course, feel free to throw that rules out the window if you feel comfortable carrying heavier loads. It’s entirely up to you! This is a common dilemma. To sum it up, here are some of the pros and cons of both wheeled and non-wheeled backpacks. The wheels and handles make it easy to lug a heavy load for long distances. Unlike a suitcase with wheels, when the terrain gets tough, a backpack can be lifted and carried easily enough, until it can be wheeled again. Wheeled backpacks have come far in terms of design. Long gone are wonky wheels and lousy handling, as modern-day wheeled backpacks offer excellent maneuverability and are strong and stable on the majority of different terrains. Traditional backpacks are lighter than their wheeled counterparts and are less boxy in their design. Generally speaking, the back systems on non-wheeled backpacks offer better padding and are more adjustable than backpacks with wheels, where straps are seen as a secondary feature to wheels. Regular backpacks can handle a good amount of being knocked about during transit. Wheels are more delicate and easily damaged. If you do decide that you’d like to invest in a wheeled backpack be sure that you choose one that has free-spinning wheels that are strong enough to roll for miles, as well as a sturdy handle that will take the weight while you pull your belongings along behind you. Shoulder straps — These padded, adjustable straps are designed to keep your bag on your shoulders and are a key component of an effective backpack. Grab handles — If you’re lifting a heavy backpack off of the floor or hauling it from a luggage carousel, a grab handle will make it quick and easy. Located on the top or the side of the backpack, these should be strong and durable. Sternum straps — This strap helps to distribute the weight of the backpack and to prevent the straps from slipping off your shoulders as you move. Stabilizer straps —These are usually found connecting the top of the backpack to the shoulder straps. They’re there to help take the weight off of your shoulders by bringing the bag forward, bringing the center of the weight inward. Top loader backpacks — A great idea in theory, but in reality, they’re a pain! If you have a large capacity backpack, everything you put in it will sink to the bottom. So when you need to reach that all-important towel that’s lying beneath all of your clothing, you’ll have to take everything else out to get to it. That said, top loading backpacks do have their benefits. As they’re designed for long-distance hiking, they’re better equipped to distribute weight to your hips rather than your shoulders making them easier to carry. Top loaders are also usually taller and thinner, which means that they’re easier to walk through crowds with. 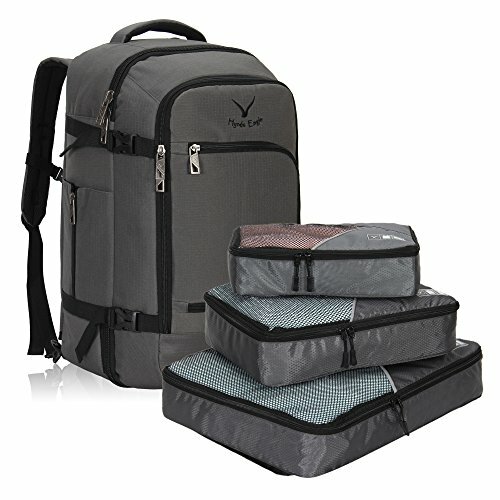 Front loading backpacks —These backpacks function like a suitcase, meaning the front panel opens to allow you access to the internal storage space. Easy to pack, and easy to find your gear when you get there, these are the more popular option for casual backpackers and travelers. That said, keep in mind that front-loading backpacks are generally heavier than their top-loading counterparts. 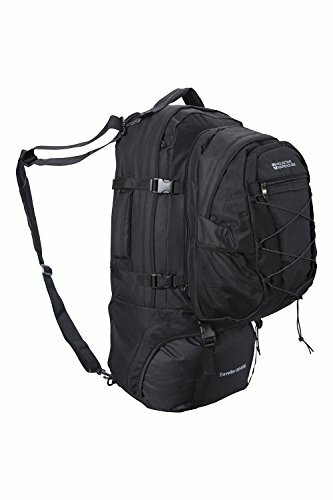 Having extensively used both types of backpacks, unless you’re going to be in a situation where you have to carry your backpack for long periods, we strongly recommend buying a front loading backpack. If you’re likely to experience rain on your trip, it’s worth getting a rain cover for your backpack. Made from waterproof material, these can slip over your backpack to keep your belongings safe and dry on the inside, and just as crucially, stop the exterior of your backpack from becoming wet and heavy. A wet backpack feels rotten to carry, and depending on where you are, you may not get the chance to dry it out properly. Be prepared, carry a rain cover just in case. Most backpacks that are designed for real travelers will be made from tough, lightweight materials that will last you for years to come. Rip-stop or ballistic nylon are popular choices as they offer extra protection against wear and tear. Pack-cloth nylon, “Cordura,” or air treated nylon are all lightweight and designed to be resistant to scratches and abrasions, while cotton canvas gives a vintage look and feel, but is heavier to carry. Canvas is also less water resistant than nylon. You should also look for sturdy, high-quality zippers, clasps, and buckles as you don’t want your backpack to fall open along the way. All of the straps on your backpack should be soft against your skin. The hip belt and torso straps should include thick, comfortable, and supportive padding, which is often made with dual density foam or EVA. The shoulder straps should be contoured for more comfort and to help reduce muscle fatigue and aching. Some backpacks will also have slightly curved backs or gaps in the padding to allow for airflow. This is especially important in hot countries where your back can get sweaty fairly fast. Bottom Line: Think about how you travel and where you’re going when figuring our what backpack is right for you. Are you going whitewater rafting? Then a waterproof backpack is a must. Are you sightseeing in Paris? Then a small, secure, fashionable backpack would be ideal. Deciding whether to travel with a big backpack that needs checking, or to go without and rely on a smaller, cabin-sized backpack is an endless debate that rages on. In case you’re wondering which option is best, the simple answer is that there’s no right answer! You’re taking sleeping bags or other camping equipment with you. You’re the type of person who needs to take a lot of things with you. You’re taking bulky items like heavy shoes or hiking, scuba, or surf gear with you. You’re going to be visiting somewhere really cold, where you’ll need extra layers, coats, and snow boots. While you may enjoy the fact that you have enough space to take all your favorite things away with you, remember that bulky baggage is heavier to carry and harder to stow. You’ll also have to consider the costs. If you’re flying on a low-cost airline, it’s likely that checked baggage will cost you extra. If you’re flying with airlines where checked baggage is included anyway, it won’t make a difference to your bank balance. Take a big bag by all means, but only if you really need it. If not, stick with something smaller. You only need to take lightweight clothing with you. Your travel plans involve lots of busy, urban environments and street walking. You’re likely to be taking a lot of flights from one destination to another. You’re a savvy packer who knows what’s important to bring and what you can do without. Cabin luggage is generally free, makes leaving the airport quick and straightforward, and is small and light enough to not break your back when you walk from one destination to another. Need more stuff? Buy it when you get there, or find a creative way to go without it. Wearing a backpack properly is about so much more than just slinging it across your shoulders. The most important parts of your new backpack will be the hip belt, which helps to distribute the weight of your luggage evenly, and to a lesser extent, the sternum strap, which is designed to disburse the weight of the backpack through your shoulders and reduce motion. While it may be a hefty bit of kit, your backpack should still feel like a natural extension of your body. It should be comfortable to carry for long periods and not feel like it’s putting pressure on any one part of your body. The humble hip belt is vital to help distribute the weight and will take up to 80% of the load away from your back and shoulders, allowing your leg muscles to do a lot of the work. Adjust the sternum strap vertically, so it sits across your chest. You should pull the shoulder straps closer together, but at the same time ensure that the shoulder straps aren’t pulling at your back. Adjust the shoulder straps to ensure that your backpack sits flush against your back. Tighten both the shoulder strap and the hip belt until you can physically feel the weight shift from your back to your hips. Bottom Line: Never underestimate the power of the hip belt. Without it, your shoulders will be shot to pieces in no time at all. Get your hip belt sitting just right, and you can conquer the world with your backpack! While these backpacks have been listed as carry-on sized, please check with your airline that they meet their requirements. Also, bear in mind that the 50-liter sized bags below will only meet carry-on requirements if they aren’t completely full. 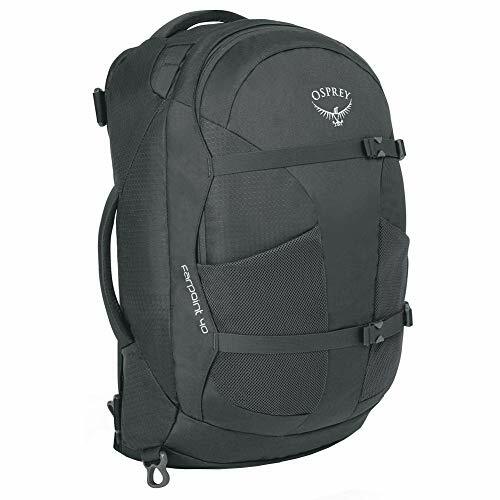 Perfect for a short break or weekend away, the Farpoint 40 is just one of the many well-designed backpacks available from luggage leader Osprey. This particular model is available in checked luggage sizes of 55, 70, and 80-liters, although here we’ll focus on the smaller 40-liter model. Made from high-quality ripstop nylon, the Farpoint has a large main compartment that opens up with wide a zip panel for easy packing. It also has a separate laptop and tablet sleeve in its own lockable compartment to keep your precious tech safe from would-be criminals. Designed to be incredibly comfortable to carry, no matter how full of gear it gets, the Farpoint offers a stowaway back panel, harness and hip belt that can be used when you need to, and tucked out of sight when you don’t. The two internal compression straps will also keep your belongings safely in one place while in transit, and ensure that you can squeeze as much kit in as you need to. Designed to be carried like a backpack but packed like a suitcase, this strong and highly durable backpack is a solid favorite with travelers from all around the world. It also fits nicely with cabin carry-on regulations, making it the perfect backpack for fast, efficient air travel anywhere in the world. 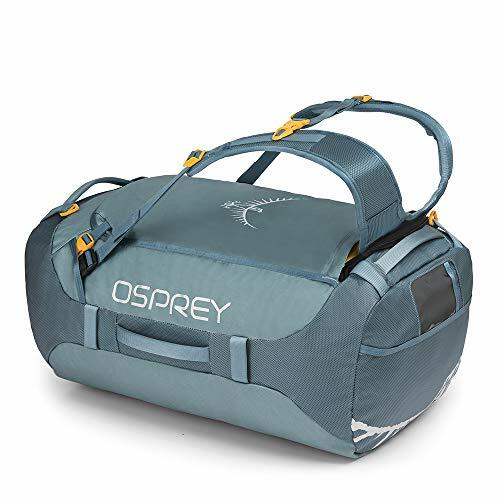 Designed with the female frame in mind, the Osprey Fairview is available in 40, 55, and 70-liter capacities, but for this review, we’re focusing on the 40-liter version. Unlike the unisex Farpoint, the Fairview offers a more female-specific fit, and the ergonomic shape will contour the body and be just as comfortable on long journeys as it is on short rides. With a lightweight frame and compact dimensions that meet most airline carry-on regulations, this is a brilliant backpack for weekends away or short trips overseas. With the patented LightWire frame suspension, the weight of the backpack rests on the hip belt, saving your shoulders from aches and pains after a day of exploring. With a back system that offers a stowable harness, yoke, and back panel, the Fairview is much more than just a good looking backpack made for women. The large zippered compartment is easy to access, making packing a simple task and the cushioned carry handles mean you can either sling this over your back or carry it like a suitcase. Inner compression straps are designed to help keep your belongings secure in transit, and the extra stash pockets are perfect for sunglasses, travel documents, and your water bottle. There’s also a padded internal laptop sleeve, making this an excellent option for both business and leisure travelers alike. The entire suspension stows away under a zippered panel creating a sleek silhouette during transport. The Aura AG is one of the best-fitting women’s backpacks available today and it lives up to the hype. Available in both 50 and 65-liter capacities, you’ll be able to carry everything you need in comfort, however far you’re traveling. 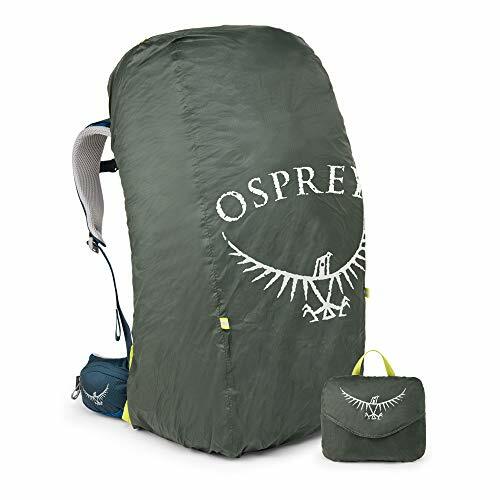 Equipped with Osprey’s unique AntiGravity™ back system with its fully ventilated hip belt, this backpack is an incredibly comfortable carry regardless of the terrain you’re covering. Perfect for warmer climates, the ventilation system will prevent you from sweating and add even more excellence to the Aura’s all-around load carrying experience. The ExoForm™ Biostretch™ harness and the Fit-on-the-Fly™ hip belt provides outstanding load support and helps to reduce strain on your shoulders and back, meaning you can carry heavy loads for longer. Designed to fit the female form perfectly, this is a backpack that has been designed for women who don’t want to do anything by half. 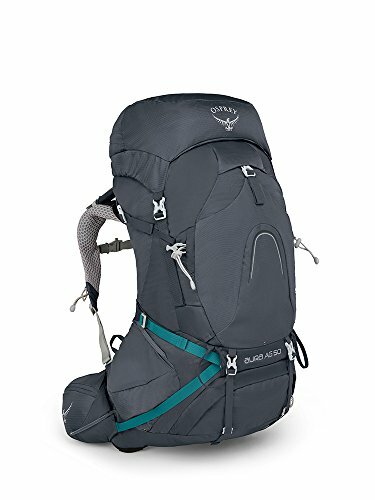 This backpack is a top loader, but it’s also hydration bladder compatible. It also has a sleeping bag compartment in the base. If you aren’t traveling with a sleeping bag you effectively have two compartments, making it even easier to pack and unpack. Finally, it comes with the patented Osprey Stow-on-the-Go™ trekking pole attachments that allows you to stow and access poles without having to remove your backpack. 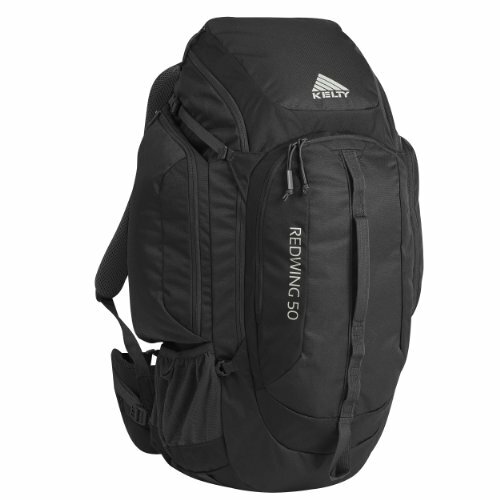 As one of the best selling backpacks from the popular Kelty brand, the Redwing 50L offers exceptional load carrying capabilities for an affordable price. The hybrid loading U-zipper is designed to work as both a “top loader” and a “panel loader”, meaning that you always have easy access to all of your gear. This backpack also offers zippered side and stash pockets for holding everyday essentials, and the large front pocket provides additional organizational space. The backpack even has a laptop pocket that’s padded and secure. When it comes to carrying, the LightBeam single aluminum stay and Dynamic AirFlow back panel keep your load stable and comfortable. The Airflow back panel will keep you sweat-free, while the Air Mesh on the shoulder straps, dual density foam waist belt, and lumbar pad will keep you comfortable regardless of where you’re walking. Designed for those who love the great outdoors, the Kelty Redwing also comes complete with its very own hydration-compatible design, although the hydration pack is sold separately. For shorter trips out, there’s a water bottle pocket on the side for storing your hydration. Deuter’s 50L Transit backpack is just the right size to meet the carry-on requirements on most airline carriers, while still being big enough to hold everything you need for a trip away. Made from 600d Polytex, the PU coating adds water and abrasion resistance, to ensure that this backpack can handle the knocks and scrapes of long-distance travel. Designed for fast and easy access, the 50-liter main compartment has a U-shaped zippered front panel. This pack also has a separate bottom compartment for heavy items like shoes or to keep dirty laundry separate. One of the biggest selling points of this particular model is the detachable daypack that can be used for day trips when you reach your destination, or for keeping your wallet, travel documents, and cell within easy reach. Lightweight and easy to carry, the Transit 50L has a padded removable carry strap, two sturdy grab handles, and breathable padded shoulder harness that offers extra stability and improved comfort on longer journeys. The VariQuick adjustable shoulder harness has a zip-up cover panel to keep straps and buckles out of the way when stowed. The Cabin Max Metz Backpack is designed to meet the regulations for approved hand luggage on most major carriers. 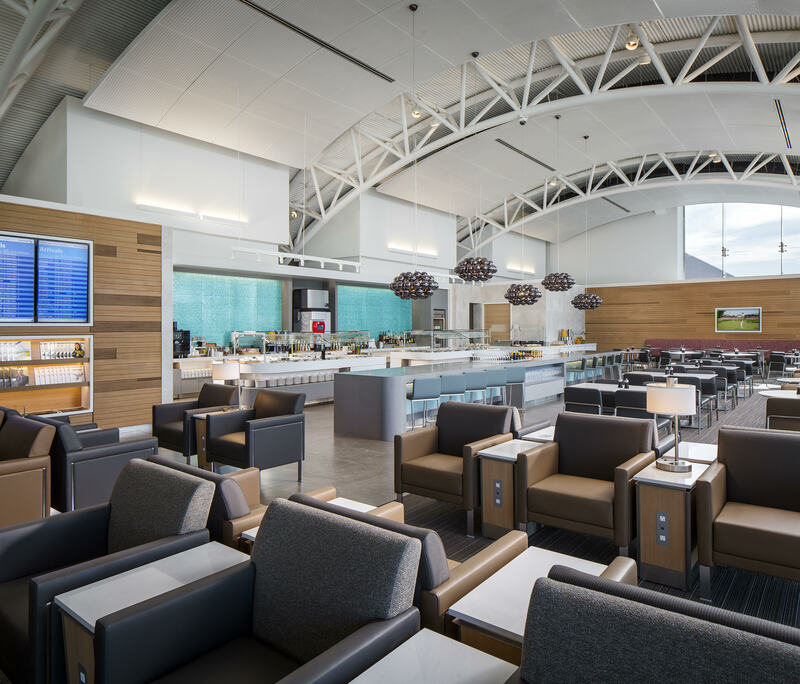 This means you can take your gear with you, without having to worry about check-in desks and luggage carousels. Made from high strength composite nylon, this useful cabin bag features three main zippered compartments that will hold your clothes and personal belongings, while the two zippered internal compartments are perfect for keeping smaller, more valuable items safe. When it comes to carrying, it couldn’t be easier. With padded, adjustable shoulder straps you can wear this on your back for the duration of your journey or flip it round to use the carrying handles if that suits you better. One of the biggest selling points for this particular model is its lightweight, yet durable construction. 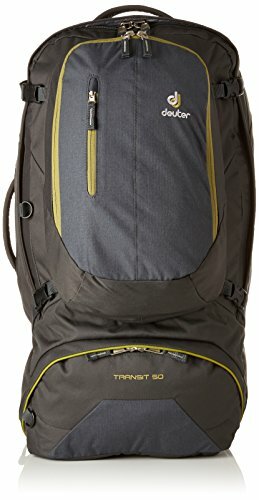 A very capable little backpack, this is a great budget alternative to other carry-on sized backpacks from bigger brands. This is more a full-service travel system than just a single backpack. 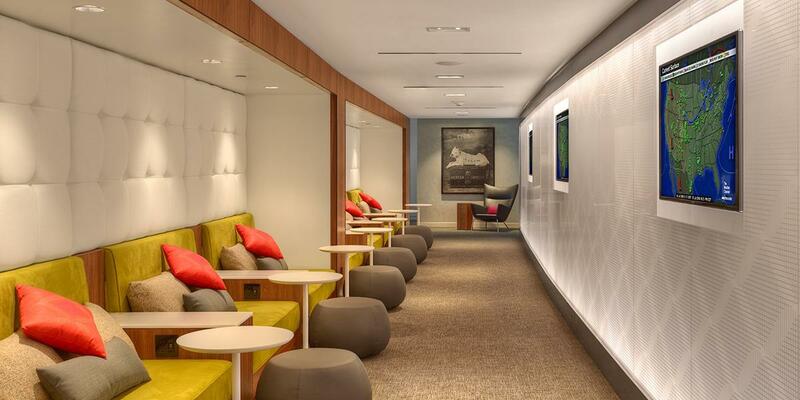 It offers a variety of travel solutions to suit every type of traveler. 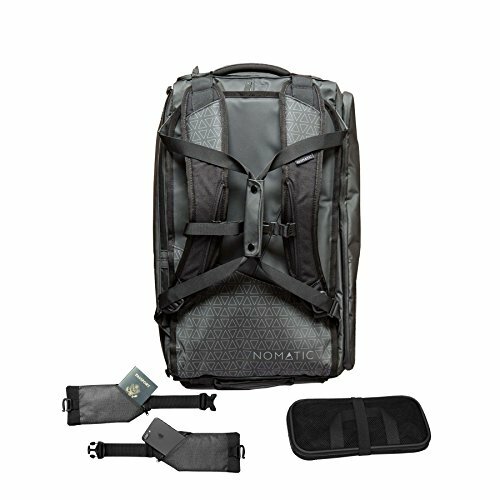 The NOMATIC travel bag combines all of the very best features from a backpack, duffel bag, and suitcase to create a single travel bag with over 20 features. With a sleek, minimalist design, this bag is made from strong weather-proof materials and is built to last. Designed to fit the maximum size allowed on most airlines, you can easily fit this bag in the overhead compartment. With a water pocket, an RFID protected pocket, a shoe compartment, a padded laptop pocket, a cord organizer, and even a notebook pocket. You’ll be able to keep all of your belongings safe and secure as you travel. With a 40-liter capacity, you can fit enough gear for a short break or long weekend, and also take your laptop with you. For extra convenience, the laptop compartment lays flat, so you can leave your laptop in the bag when passing through airport security checkpoints. Made from 100% waterproof tarpaulin material, this backpack is rugged and durable on the outside and offers bonus accessories such as a dedicated laundry bag, detachable waist straps, and waterproof zipper coverings. Made by the popular luggage brand Haynes Eagle, this backpack offers 40L of useable luggage space, as well as high-quality construction and smart storage solutions that the brand is so famous for. With three carrying options and two travel modes, you can wear this on your back, or carry it in your hands as one good size backpack or as a suitcase. The interior space offers plenty of well-thought-out solutions to keep your belongings secure, including four exterior compression straps to stop unwanted movement while in transit and a padded laptop and tablet sleeve to keep your devices extra secure. There are also interior and exterior slot pockets that can be used for keeping your wallet, cellphone, boarding pass, and passport safe while you’re on the move. The contoured shoulder straps can be hidden away when you no longer need to use them, and the padded air mesh construction makes them super comfortable when you do. The adjustable sternum strap also helps to transfer the weight from your shoulders and keep your backpack upright for longer. For travelers who don’t want to be held back by bulky luggage, this is the perfect combination of a spacious backpack and a useful daypack. Perfect for long trips overseas, both packs are made from robust and durable material and are designed with comfort and strength in mind. To avoid pain and stress on the back and shoulders while on the move, this backpack offers adjustable back and shoulder straps to help you find the optimum position for comfort and load bearing. The chest and hip straps also help to stabilize the bag and distribute the weight evenly, making it a comfortable carry from the word go. For fast access to everyday essentials, there are a variety of pockets to choose from, and the rain and flight cover will help to protect your bag from inclement weather or damage in transit. The 20L daypack is just the right size for taking with you on excursions, while the main body of the backpack can remain safe and secure back at your accommodation. Offering the best of both worlds, this is a great combination backpack for overseas adventurers. Bigger is better with this spacious duffel that doubles up as a backpack. Made from water-resistant, high-grade material, this duffel is rugged and dependable. With a contoured harness and yoke integrated into the fabric of the duffel, you can comfortably wear this on your back for as long as you want to. When you prefer to carry it by the handles, the back piece simply stows away out of sight. Because this bag is designed for use in any terrain, the main compartment comes complete with a weather-protected main zipper with overlapping rain flaps to help keep your belongings protected from inclement weather. The dual-zippered 3D end pockets are perfect for quickly grabbing your passport, phone, wallet, or other everyday items, while the large U-zip opening in the main compartment makes it super easy to pack as much as you need to. For trips where you do need to take lots of gear, there are eight side-panel and four lower web lashing points that let you attach even more to this clever duffel bag with impressive backpack capabilities. Large enough to hold all the gear you need for a weekend away or a short break, the J 53 backpack is not just sizable; it’s also incredibly lightweight too. Carefully sculpted to contour to your body, this backpack is made from high quality, lightweight nylon with oxford polyester, and offers fatigue fighting CrossFlo suspension and full ventilation. Perfect for a variety of trips, the suspension system uses a curved, springy steel bar to stiffen the frame sheet, making it incredibly comfortable to carry even as you add more weight. The load weight will be transferred from your back and shoulders down to the lumbar pad and hips. With a trampoline-style back panel, the backpack remains streamlined no matter how heavy you load it. And, for your carrying comfort, the CrossFlo DTS Suspension provides cooling airflow across the back, preventing sweat patches in all conditions and climates. The U-shaped zippered access to the main compartment makes for easy loading and unloading while the quick-access waistbelt pockets and the front buckle pocket are perfect for stowing your passport, wallet, cell phone, and other travel essentials. Compression straps are also included to keep your belongings secure and the backpack stable. 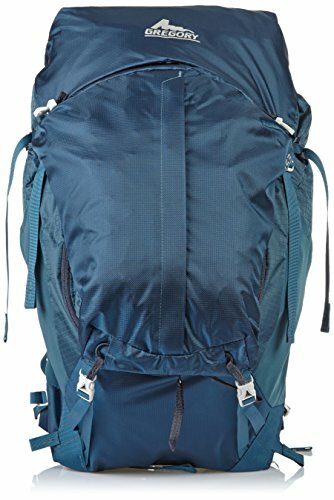 This is a great travel backpack that can also be used for multi-day hikes. The Atmos AG backpack from Osprey is a brand-leading backpack that comes in both 50 and 65-liter capacities. 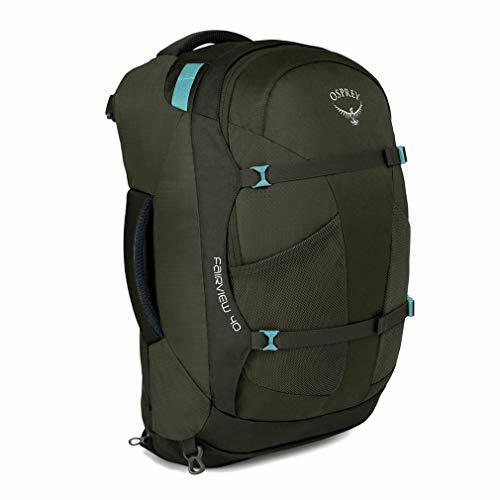 Based on the patented Osprey Anti-Gravity suspension system, this backpack promises to deliver outstanding ventilation and carrying comfort, all around the world. The Atmos also offers a revolutionary integrated FlapJacket that will help to protect your gear from the elements. 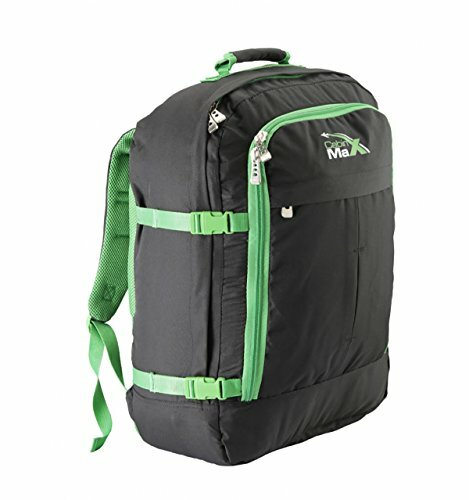 This backpack is so exciting it has even won awards, which cements its reputation as one of the best in the business. It has a seamless back panel made from lightweight mesh and a Fit-on-the-Fly hip belt pads that can accommodate different hip sizes to provide a truly custom fit. The structure of the backpack contours automatically to your body providing outstanding fit and unrestricted movement, while the adjustable harness allows for custom adjustments using the easy release cams behind the harness yoke. With a floating top lid, you can quickly load and unload the Atmos, while the dual zippered front panel pockets are perfect for storing items that you need super-fast access to. The external compression straps are there to help stabilize the load and act as extra gear carry straps, while the internal straps will keep your luggage in one place while you’re on the go. Wherever you’re headed, and however much you’re planning to take with you, there’s a backpack to suit. Choose quality and practicality over looks, gadgets, and gizmos, and you’ll quickly find your travel backpack becomes a much-loved travel companion in its own right. Remember to go for a front-loading backpack if you can and carry the weight on your hips rather than your shoulders! Is The Chase Ink Business Preferred Card℠ Really Worth It? This article is fantastic and I got some good information by reading this. You forgot one important consideration in the bags you listed here: style! Nomadic comes closest, but still kinda boxy and dorky in my view. I got an Aer Travel Pack a year ago and swear by it. Very functional clamshell opening, and it looks great. Works as a carry-on and has a side handle for briefcase mode.